Next time you are looking for a place to chill with your squad over some snacks and drinks, head to the new Dariole outlet in Southern Avenue. 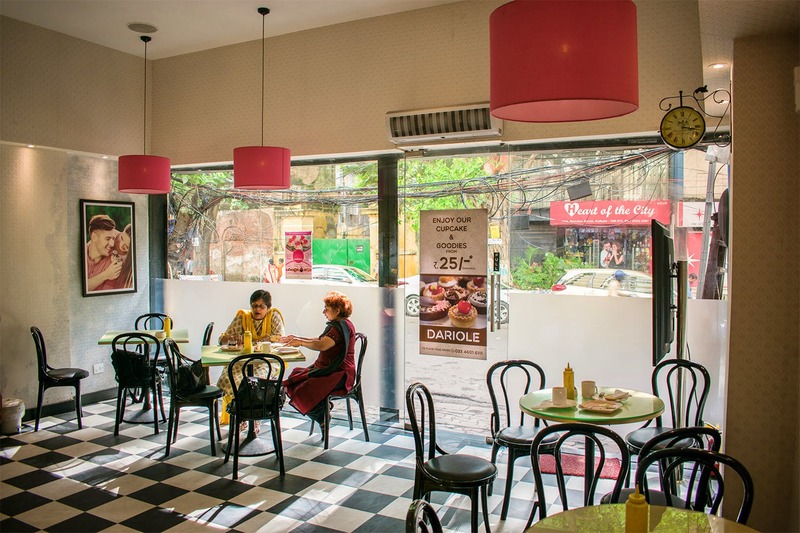 Their Shakespeare Sarani branch was a hit with youngsters and people looking to pack some snacks for home (think lamb and mint patties and tikka wraps for just INR 40, mushroom pies for INR 35, five spice chicken triangles for INR 32 and more). Their sumptuous desserts include chocolate eclairs, rainbow cakes, linzer torte, cupcakes and more. You can wash it down with shakes and mocktails. We really liked the cold coffee here which tastes like a real cold coffee and not a milk shake. This one comes from the house of Speciality Restaurants (the same peeps who own Mainland China, Oh! Calcutta, Mezzuna and other Kolkata restaurants) so you can be rest assured to get quality desserts and savouries without hurting your pocket.